Spark offers the comprehensive Advanced Excel Training in Chennai. We provide the best MS Excel Training in Chennai. Spark Academy offers MS Excel Training in Chennai. Excel spreadsheets are commonly used across business to display financial information and other data relevant to the running of the business. Spark Academy offers the best MS Excel Training in Chennai. This could be information relevant to the customer relationship management department, sales, marketing or HR. With so many business functions now reliant on IT and the internet, Excel continues to be seen as a vital tool for administration and the effective running of a business. Building great charts – Excel allows business users to unlock the potential of their data, by using formulas across a grid of cells. Data is inserted into individual cells in rows or columns, allowing it to be sorted and filtered, and then displayed in a visual presentation. Using pie charts, graphs and clustered columns adds meaning to data, which otherwise may just exist as row after row of numbers. These visualisations can add extra emphasis to business reports and persuasive marketing material. Excel recommends charts most suitable for the type of data being presented on the X and Y axis. Use conditional formatting – Excel users can format their spreadsheets using different colour shades, bolds and italics, to differentiate between columns and bring the most important data to the fore. This function could be useful when presenting accounting information, such as the pre-tax profit and the balance being carried forward by the company. Users can select an appropriate colouring scheme via the Quick Analysis button, and then by utilising the Formatting tab. Trends Showcase – When presenting data in the form of charts or graphs, it can be helpful to include average lines, which explicitly detail the key trends emerging from the information. This may help demonstrate the key points to other users in a straightforward manner – for instance, an executive from a different department during a board meeting. Excel allows trend lines to be extended beyond the graph, to offer predictions of future activity – and such forecasts can help businesses develop their future strategy. 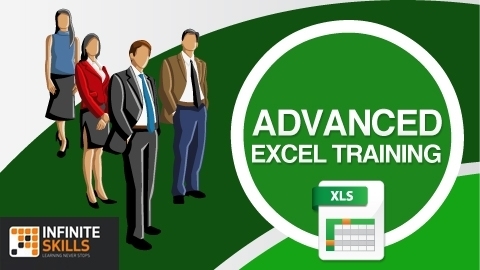 We are providing the Advanced Excel Training in Chennai at our Guindy and Tambaram centers. Kindly contact us for your MS Excel Training in Chennai.